Divorce Assets: Who Gets the College Savings Plan? Dividing Divorce Assets: Who Gets the College Savings Plan? The question of how divorce assets should be divided isn't always an easy one to answer. One issue parents may not have considered beforehand is how college savings accounts will be split once the marriage ends. But, that's something that needs to be considered carefully to avoid putting children's future education in jeopardy. Having a plan for dividing these assets can minimize the financial disruption associated with divorce. 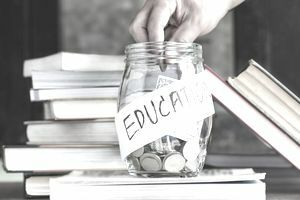 Though not technically a college savings vehicle, funds in a Roth individual retirement account or traditional IRA can also be earmarked to pay for higher education expenses. As you're reviewing where your education savings accounts are located, take note of the account balance, the listed beneficiaries and account owners, when the assets were accumulated and who was responsible for making contributions. If you and your soon-to-be former spouse both contributed, you may also want to calculate how much each of you added to the plan. Something else to consider is who the successor owner or beneficiary of each account will be if the primary owner away. You want to ensure that regardless of how the assets in college savings accounts are divided, your children will continue to be the beneficiaries if something happens to you or your former spouse. Once you've identified what divorce assets fall under the college savings umbrella, you can move on to discussing how they'll be divvied up. The simplest way may be to split all college savings accounts equally, but you might prefer to keep the assets in a single account together. If that's the case, you may consider trading off individual accounts. For example, you might continue to control your child's 529 plan, while your former spouse controls their Coverdell or custodial accounts. While you're in the process of dividing these divorce assets, you may want to think about asking the court to prevent any money from being withdrawn from a college savings plan until the divorce is finalized. This can help protect your child's education fund until you and your spouse can agree on how to split the assets fairly. If you've come to an agreement on how college savings accounts will be shared, you've gotten past the biggest obstacle. Next, your divorce decree should spell out exactly how these assets can be used by either parent. The Internal Revenue Service has specific guidelines regarding what 529 plan funds and Coverdell ESA funds can be used for. A 529 plan is designed to pay for qualified higher education expenses, including tuition, fees, books and room and board. A Coverdell ESA can be used for both qualified higher education expenses, as well as secondary education expenses. Withdrawals for anything other than qualified education expenses can result in a tax penalty. While the rules clearly spell out how these accounts should be used, there's no way to restrict the account owner from pulling money out for something other than higher education. If you're worried about your former spouse using your child's college money for their own purposes, you may want to include language in your divorce decree specifying that you need to agree first. You can also ask the court to make interested party statements available to you if you're no longer the account owner of a 529 plan or another college savings account. This way, you can monitor what's coming out of the account as well as what's going in. The final piece of the puzzle when handling divorce assets for college is deciding how you'll contribute to savings plans going forward. For example, if you're splitting up a 529 account equally, will you both contribute the same amount to it monthly or annually? Or, will you each contribute a set amount based on what your income allows? You may also want to talk over how contributions from people other than yourselves will be handled. For instance, if both your parents were contributing money to different college accounts on your child's behalf, will they continue to do so or will they only contribute to one account and not the other after the divorce is final? This may not need to be specifically included in your divorce decree, but it's good to have that discussion sooner rather than later so everyone has clear expectations. One last thing you may want to discuss is what will happen to any college savings money that your child doesn't use. With a 529 plan, you can transfer the account to a new beneficiary as many times as you need to, as long as the new beneficiary is a qualifying relative. Coverdell accounts can also be transferred to a new beneficiary. If you only have one child, you may want to cover who any college savings plans will go to next if there's money left over.